We had some of the biggest and most action-packed games in years in 2018, but we also had so many fantastic games in VR this year and this list shows both of those things. Here is what we decided was the best games of 2018 in a year full of so many great new games. The following Top 10 list was compiled by Dylan Blight, Cherie Henriques, Ashley Hobley, Ciaran Marchant and Nicholas Prior. When Call of Duty: Black Ops 4 announced it wasn't going to include a single-player, like many we were wary and confused somewhat. But what you get with Black Ops 4 is an amazing multiplayer package that includes the best battle royale game you can play at the moment with Blackout. Whether you want the typical COD multiplayer battles the franchise is known for, the co-operative fun and nonsense that is Zombies, or the single/duo/quads action that you'll find in Blackout, there is something for every type of FPS multiplayer fan here. Shadow of the Tomb Raider stays true to the feel and exploration mechanics that you have grown to love and enjoy from the introduction of the rebooted series in 2013. Whilst you may find yourself stealthing through a lot of the game, the introduction of new abilities, skills and characteristics from Lara will have you tackling this new experience in ways that you haven't before. With a darker tone to Lara's character, new puzzles to solve, more tombs and land to explore, Shadow of the Tomb Raider is captivatingly beautiful with an interesting story that leaves you wanting more. Firewall is a game that many have been waiting for since PSVR was announced. To be able to be in that the virtual world and having the freedom with the PS Aim controller, Firewall Zero Hour offers an FPS shooter experience like no other we have played before. 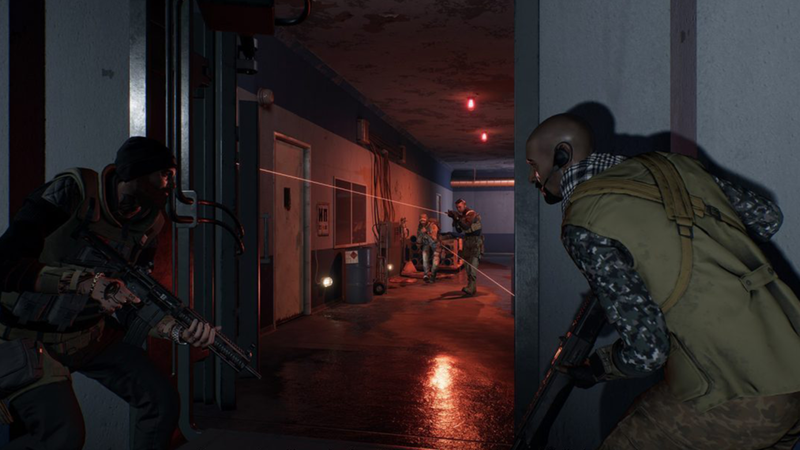 The tactical gameplay that relies on teamwork is put together fantastically, it makes you always feel like a game could swing in any direction with the proper teamwork. This is even more evident when a match is won with good communication from those that have died and are able to pass on information to the remaining players on their team. There is something super satisfying about cutting the blocks in this energy blade virtual reality rhythm game. Although it's a simple gameplay hook with a great collection of songs to play, it's how well the package is pulled off in a new medium that makes Beat Saber so special. 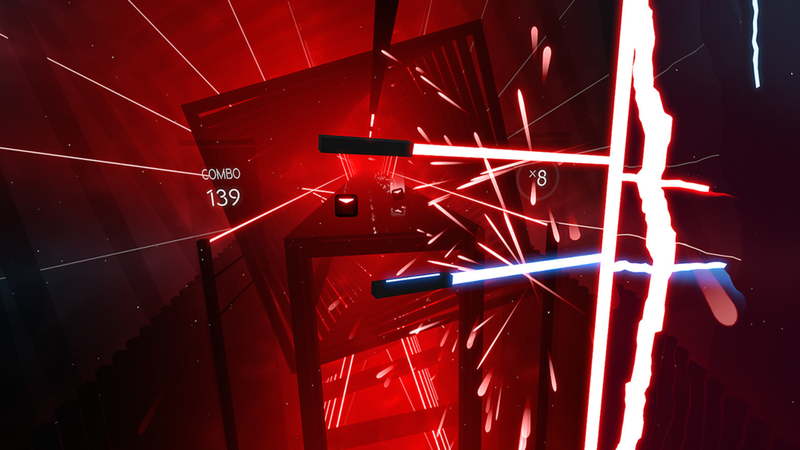 Beat Saber is a must purchase for anyone with a VR setup, especially rhythm game fans, or those that have wanted to twirl lightsabers -- because this is the best we've got so far. The mascot platformer seems to pop up early within any new change in gaming genre or hardware. Mario has always been around to see in and show us how each new piece of tech can best be used in the genre, but he hasn't been around for VR and that's where the Astro Bots fills those shoes. Astro Bot Rescue Mission is the ultimate proving ground in how virtual reality can be used in conjunction with already existing genres that aren't the go-to's for VR. It's an absolutely charming platformer with fantastic levels and bosses that leave you in awe constantly and most importantly, like the best in the genre, Astro Bot just puts a huge smile on your face. Astro Bot Rescue Mission is simply, amazing — a pure joy and a wonder that is a must play for all PSVR owners. Japan Studio has breathed fresh air into the genre and reinvigorated it for the future, as well as showing how great VR can build upon more genres, not just first-person shooters. Florence is a small game that manages to tell such a beautiful story in the palm of your hand about the romance between two characters and the ups and downs that follow. With a fantastic soundtrack to guide you through the gorgeous artwork and well-designed story, Florence is an experience best played alone with headphones on. Florence is a normal love story told in the unique medium that is video games, allowing for a more personal experience. It will resonate with those that have fallen in love before and experienced relationships like the one portrayed and can appreciate the little details of each moment and chapter. Like in La La Land -- here's to all the dreamers. Simply put one of the most incredible gaming experiences of the year. Tetris Effect breathes new life into the puzzle game that debuted in 1984 by bringing it into virtual reality and making it the ultimate combination of gameplay and audio-visual elements to create an experience like no other. Sure, you can play Tetris Effect without VR and it's still great, but playing the game in PSVR is our recommendation for one of the best experiences of the year. In a stellar year for games with very stiff competition, this piece of art has skyrocketed to the top of many's best-of-all-time lists. We have never felt so immersed in such an unparalleled open, living world as we did playing Red Dead Redemption 2. From the characters and narrative to the open plains and snow-filled mountains, we had a hard time not believing it was all real. Rockstar Games deserve the utmost praise for creating one of the most engrossing worlds that has ever been created in any artform. The direction and story-telling in this game are one of the great gaming achievements of the year. The over-the-shoulder one-shot approach to the game made it fell very cinematic and helped to immerse you in the story. The tale of Kratos and his son Atreus’s journey to spread Kratos’ wife’s ashes from the highest peak is a simple set-up but takes many twists & turns along the way, enthralling us all the way. Christopher Judge’s performance fleshes out Kratos as more than the rage-filled warrior we have seen in previous games as he struggles to connect to his son. Alastair Duncan’s performance is also a highlight as Mimir, a reanimated head that Kratos keeps on his belt who provides him with stories of the world and the Norse Gods. 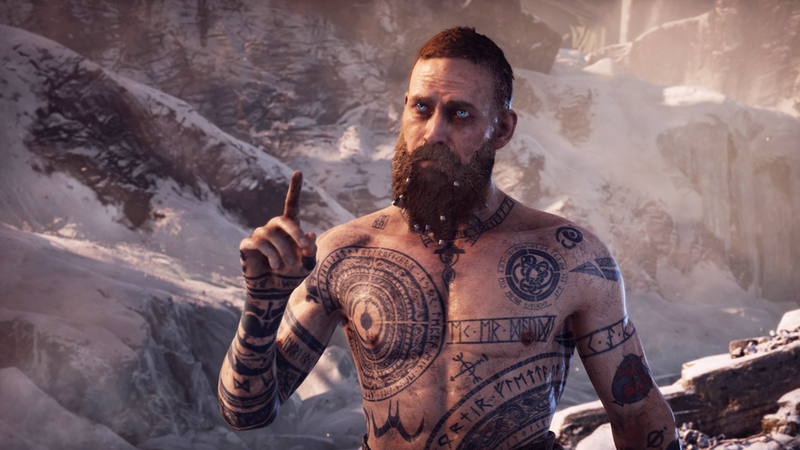 The game dives deep into the Norse mythology of the world and gives a different take on these God's that have more recently been depicted very differently in popular media. God of War also features one of the greatest boss battles of all time that felt like something out of Dragonball Z or a Superman film. Web-slinging through New York City was one of the great gaming joys of 2018. Insomniac perfectly captured that traversal mechanic that was critical to the game and made it a joy whether you were just starting or were hunting around the city for collectibles or photos to get that Platinum trophy. Marvel’s Spider-man tells one of the great Peter Parker stories that truly felt like a long playable comic book arc with Yuri Lowenthal delivering an amazing performance in a role that has been voiced and performed by many before him. Few games this past year delivered as many emotional moments as Spider-Man with an ending that will hit you right in the feels. It is also littered with great performances, particularly Laura Bailey as Mary Jane, Nancy Linari as Aunt May, William Salyers as Otto Octavius and Darin De Paul as anti-Spider-Man podcast host J. Jonah Jameson. The game is also incredibly beautiful with an incredible recreation of New York City with a number of Marvel Universe touches, like Avengers Tower and the Sanctum Sanctorum. We are all excited to see where this franchise goes next, especially with the hints dropped throughout the game. Join Dylan and Ashley as they go over the Explosion Network's Top 5 games of 2018, pulled from the official Top 10 of 2018 list put together by the team.